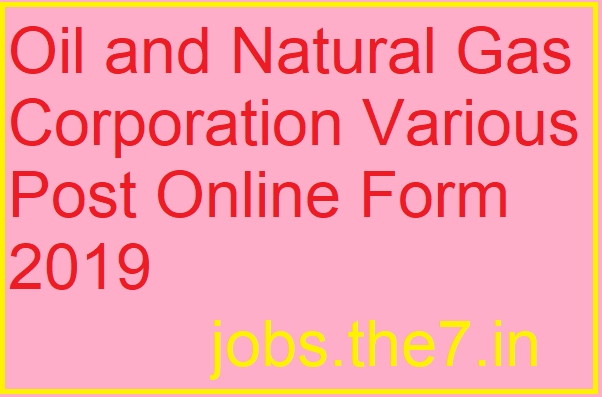 Oil and Natural Gas Corporation Various Post Online Form 2019 - Government Jobs, Sarkari Naukri, Sarkari Result, Admissions, Rojgar, Exams Alerts. Payment will be made through Debit Card/Credit Card/Net Banking/E Challan. AEE (Reservoir)– Candidates Post Graduate Degree in Geophysics/Mathematics/Physics OR Chemical Engineering/Petroleum Engineering degree with minimum 60% marks will be eligible for this post. AEE (Rest All Trades)- Candidates having engineering degree in relevant trade with minimum 60% marks will be eligible for this post. Chemist- Candidates having Masters Degree in Chemistry with minimum 60% marks will be eligible for this post. 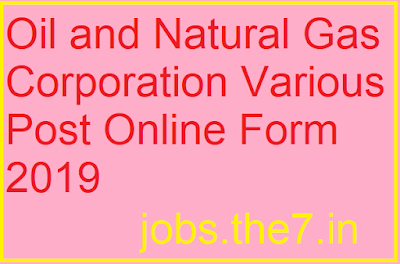 Geologist- Candidates having M.Sc/M.TechDgree in Geological technology/Geology with minimum 60% marks will be eligible for this post. Rest All posts- Candidates are suggested to read the official notification for post wise educational qualification & eligibility criteria before applying. Candidates can apply through link provided below or they can also apply through link provided below before 25/April/2019.